A few months ago I upgraded the hardware my avr11 project ran on from the atmega2560 8bit micro to the SAM3x based Arduino Due. In doing so I lost access to the excellent QuadRAM memory expansion board, and had to find another solution for accessing the micro SD card. For the moment, I’ve decided to go back to my SPI based SRAM shield that I built previously and this means I need to hook both the SPI SRAM shield and a Sparkfun micro SD card shield up to the Arduino Due. Sparkfun micro SD card shield, no ICSP header connector. 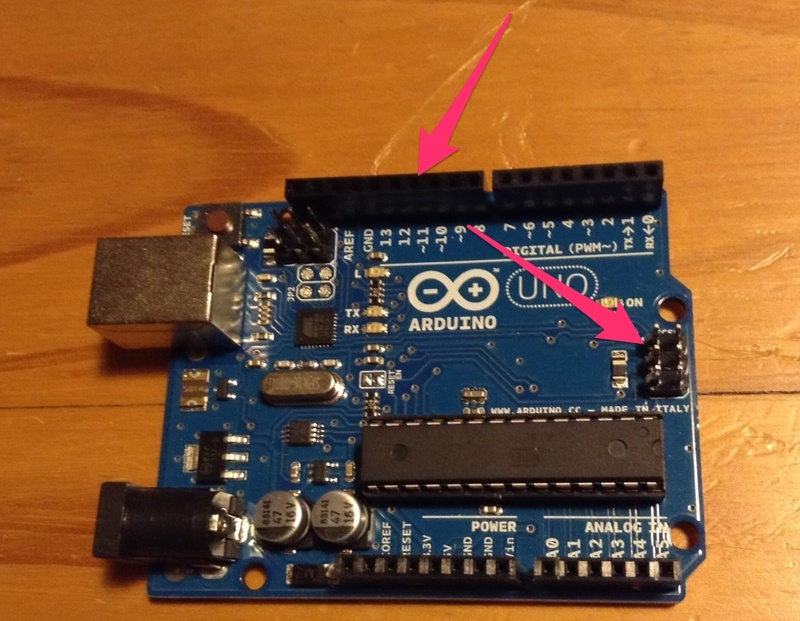 This brings me to the topic for this post; why do Arduino keep moving the SPI pins! In the beginning there was the Arduino Uno form factor, SPI was available on both pins 11, 12 and 13 as well as the dedicated ICSP header. SPI is available on pins 11, 12 and 13, as well as the ICSP header. 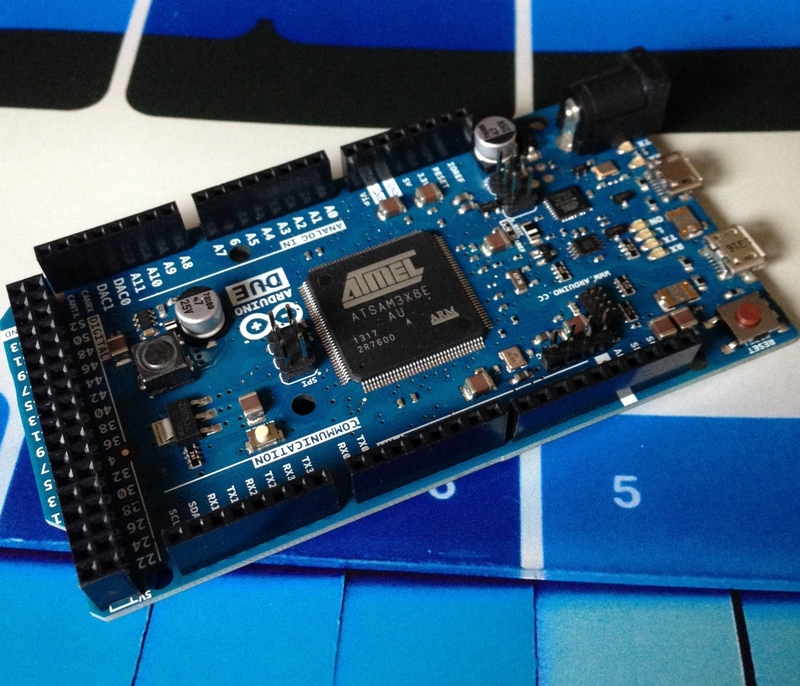 Then the Arduino mega platform came out, with the Atmel 2560 chipset and the larger shield sizes. SPI has moved to pins 51, 52 and 53, as well as the ICSP header. SPI is no longer available on pins 11, 12 and 13, but has moved to pins 51, 52 and 32. 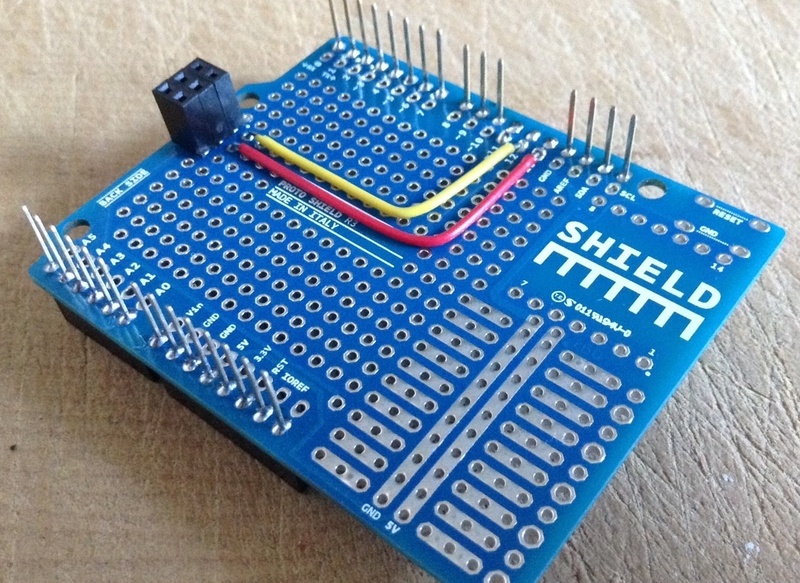 It remains available on the ICSP header, which is the area that Arduino is pushing shield makers to use. 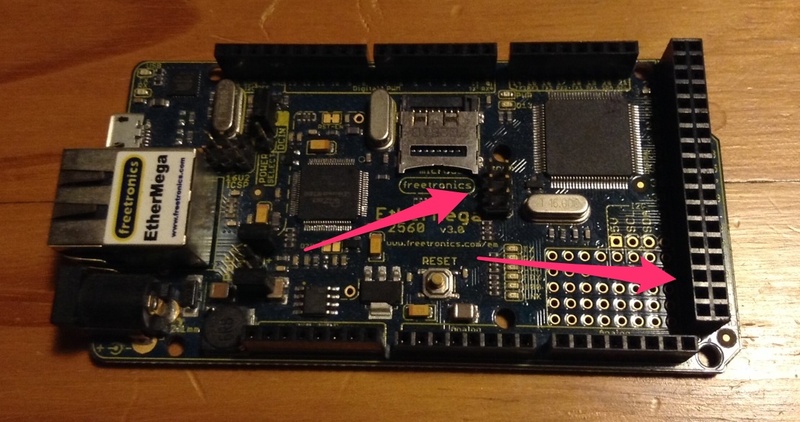 Unfortunately shield makers are steadfastly ignoring the recommendations from Arduino and none of the SD card shields I ca find have a connector to route the ICSP header upwards as you add additional shields. The blanks shields from Freetronics don’t even make it an option. This brings me to the Arduino Due, which I needed to get the grunt to run my avr11 simulator. SPI available on the ICSP header, only. To use SPI on the Due I need to somehow route the ISCP connector to pins 11, 12 and 13. The best solution I had at the time was to raise the shield away from the Due using stacked headers, then route the ISCP signals to the pins that the board (and the SDFat software) expected to find them with some jumper cables. Out of shot, pins 11, 12 and 13 were bent upwards so they did not make contact with the sockets on the Due board. This was where the project stalled for a few months. Recently I’ve had some time to come back to this project, and the first order of business was solving the SPI problem. It was clear that pins 11, 12 and 13 were the rightful place for the SPI signals and to try to route them anywhere else would be fruitless. So, with an official Arduino expansion shield in hand, I made myself an SPI adapter board. Pins 11, 12 and 13 are removed, but still connect to the stacked header on the opposite side of the board. The board is very simple, all the usual Arduino Uno pins are passed through as expected, however pins 11, 12 and 13 are routed to the ICSP header to match the Arduino documentation. Adapter board mounted on an Arduino Due. Here is a picture of the shield mounted on the Due. The trace for pin 11 is run on this side of the board to avoid crossing pin 13. I felt this was important as SPI can run upwards of 16 Mhz, however I’m not sure how much improvement this will make as these traces are still long and unshielded. The final result, more compact and much more stable. Here is a shot of result. The SD shield is mounted without floating pins or jumper wires and additional shields can be mounted on top of the SD card shield with the original locations of the SPI pins respected. 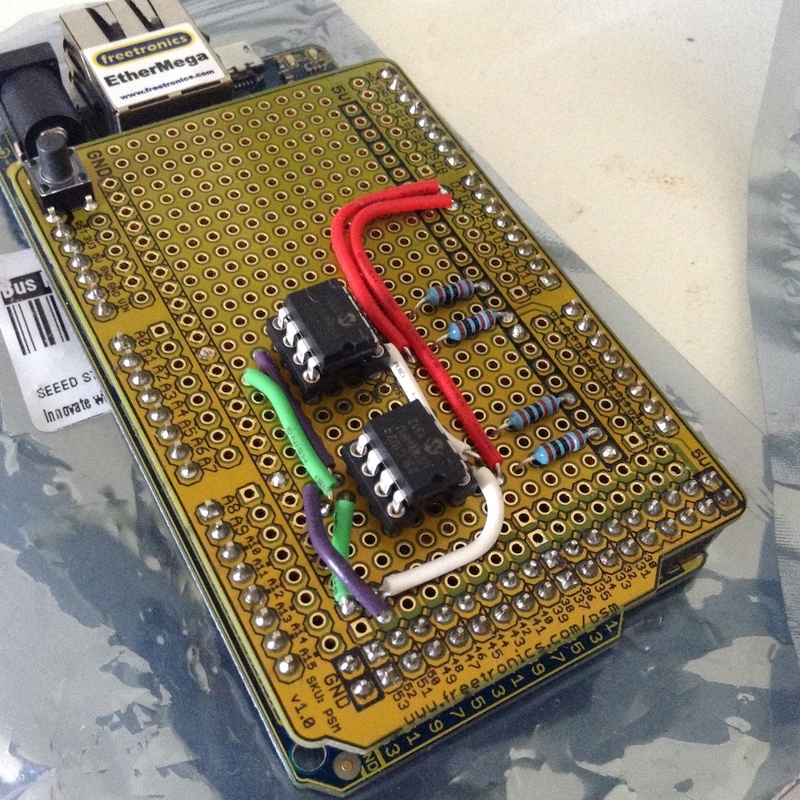 This entry was posted in Hardware Hacking and tagged ardunio, avr11, due, spi on July 13, 2014 by Dave Cheney. In my first post I said that I believed the simulator performance was 10x slower than a real PDP-11/40, sadly it looks like that estimate was well off by at least another factor of 10. Yup, 100x slower than the machine I tried to simulate. At least. After my last post a commenter suggested that my counter based approach could be improved. It had a high overhead, and, as I discovered, was overstating the performance of the simulator. Adapting Joey’s approach a little I built a simple contentious frequency counter by adapting this Instructable. Doing some calibration at the local hacker space with some other frequency counters and generators I believe the counter is accurate in the hundreds of kilohertz range, so certainly good enough for the job at hand. prompt, waiting for someone to type unix. At this stage avr11 running on the Atmega 2560 was processing 15,477 instruction/second. At this point the program is executing from a low area of memory and the MMU is not enabled. prompt, the simulation rate drops to around 13,337 instructions/second. Executing a simple command like DATE, the simulation drops again to between 10,500 and 11,000 instructions/second. As much as I love the minimalist idea of building a ’70’s era mini computer on an 8 bit microcontroller, it looks like this just isn’t going to be practical to build a usable simulator on the 16mhz Atmel 2560. So, it was time to bring out the big guns. A quick visit to the Little Bird Electronics store and I had an Arduino Due on order. The SAM3X chip at the heart of the Arduino Due is a full 32bit ARM processor which runs the Thumb2 instruction set. It also runs at a much higher clock rate, 84Mhz, vs the 16Mhz of the Atmega parts1. 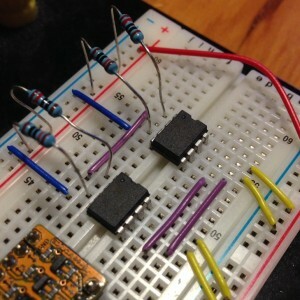 avr11 running on an Arduino Due with a Bus Pirate frequency counter. The night the Arduino Due arrived I modified avr11 to run on it. The result, with just a recompilation of the code for the SAM3X processor; 88,000 instructions/second. I recently came across Appendix C, in the 1972 PDP-11/40 processor handbook which provides formulas for calculating instruction timings taking into account the time to fetch the operands and process the instructions. 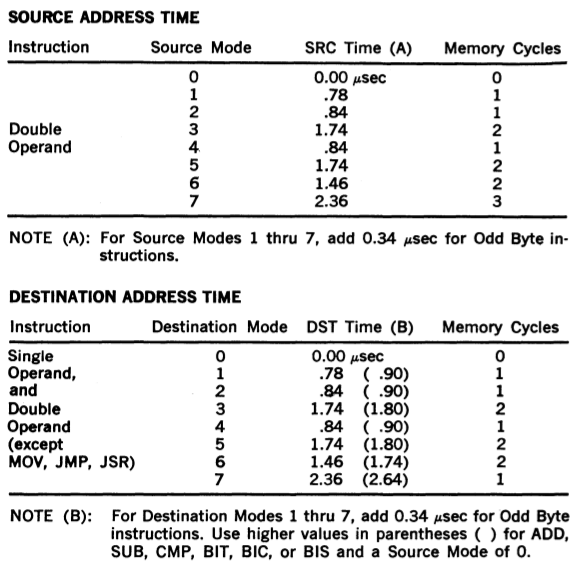 Sample instruction timings, these times are in addition to the time to fetch the source and destination operand. So, now we can compute how long a PDP-11/40 took to execute an instruction, maybe this could be used to give some idea of how well avr11 was performing in simulation. Which adds the value in R0 to R1 and stores the result back in R1 should take 0.99us as R0 and R1 are registers (mode 0). For this simple instruction, assuming ideal conditions; no interrupts, no contention on the UNIBUS, etc, means the PDP-11/40 could have executed 1 million 16bit ADDs per second. So, what can avr11 running on a 84Mhz Arduino Due do ? I modified avr11 to execute ADD R0, R1 over and over again (effectively disabling the program counter increment) and timed the results. Well, that isn’t great, 8.5% of the real simulation speed. However, that was for a best case instruction with no operand overhead. What if the instruction was more complex, for example ADD (R0), (R1)2, add the value at the address stored in R0 to the value in the address at R1. 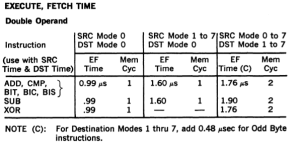 Using the tables above the timing on a real PDP-11/40 would have been 3.32 microseconds, 3.32x times slower, just over 300,000 instructions a second. 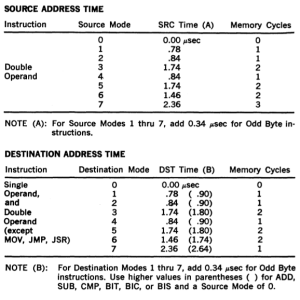 Altering avr11 to execute this new instruction sequence results in 63,492 instructions/second. Not exactly the result we were looking for, but putting the results into a table reveals something interesting. So, perhaps all is not lost. Maybe with a more realistic instruction stream the performance of avr11 is not in the single digits anymore. Being able to deliver 25%, 30% or even 40% of a real PDP-11/40 would be a significant milestone, and maybe one that is possible. Now that I have switched to the Arduino Due I’m going to have to revisit several solved issues. The first is memory. The Due only has 96kb of SRAM, and while I can boot V6 UNIX in that tiny amount of memory, there is roughly 10.2 kilobytes of memory free for user programs once you get to the shell. For the short term I’ll have to revert to my SPI SRAM shield, modifying it to use the Arduino R3 spec’s IOREF pin rather than blindly dumping 5v across the input pins. The second problem is the micro SD card. This was a question I had dodged originally by using the Freetronics EtherMega, but as the Ardunio Due has no onboard microSD card adapter I’m going to use something like the Sparkfun microSD shield3. I did briefly consider the Freetronics Goldilocks which is clocked at 24Mhz in a more 5v friendly format, but they aren’t easily available. 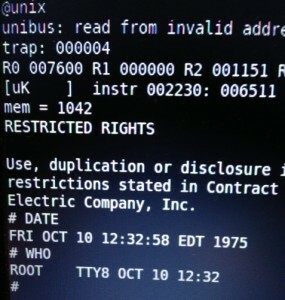 In the 1970’s this instruction was written as ADD @R0, @R1 but I’ve chosen to use the more familiar GNU as form. 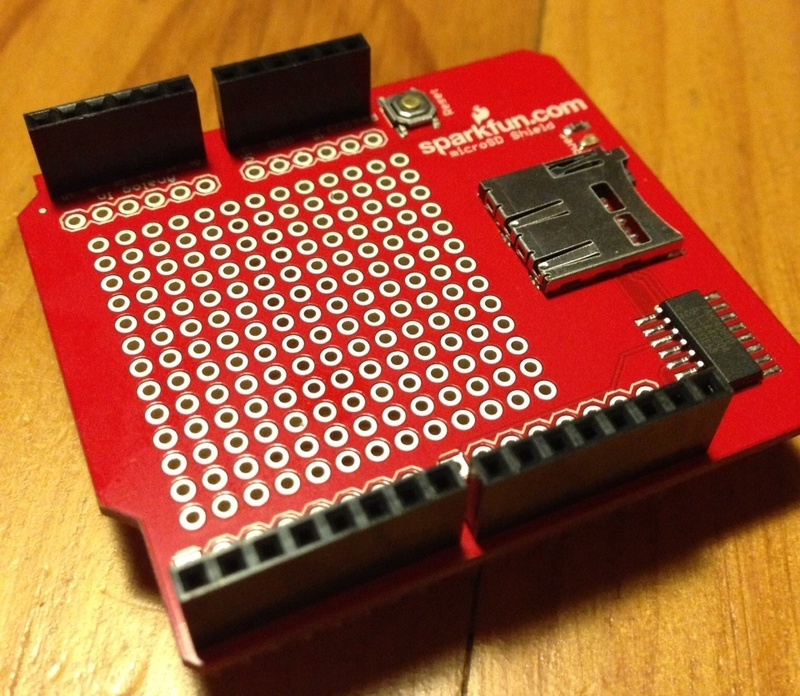 The Sparckfun sheild has to be used in ‘soft SPI’ mode as the board itself expects the Arduino Uno style SPI interface broken out on pins D9 – D12 which is not available on any of the boards in the Due/Mega extended form factor. This entry was posted in Hardware Hacking and tagged arduino, avr11, sam3x on February 16, 2014 by Dave Cheney. This is a post about the performance of my avr11 simulator. Specifically about the performance improvements I’ve made since my first post, and the surprises I’ve encountered during the process. Because avr11 runs directly on the Atmega 2560 microcontroller, there is no simple way to measure the performance of various pieces of code externally. I am aware that Atmel studio contains a fairly accurate simulator, but that package only runs on Windows. It also wasn’t clear if it can simulate the microSD card and xmem boards that avr11 requires. That left me needing to improvise some way of measuring the relative performance of avr11 while I made changes to the code. The solution I came up with was a counter that increments every time cpu::step(), the function that processes one instruction, is called. The counter is defined as uint16_t so rolls over every 2^16 instructions. Combined with the built in millis() function, which prints the number of milliseconds since reset, I had a crude way of timing how long avr11 takes to dispatch instructions. From there the process became very iterative. Each evening I would spend a few hours playing with various tweaks in the Go version of avr11, then I would transpose them over to the C++ code a piece at a time, testing as I went and watching the cycle count. TL;DR – Instruction dispatch was an average of 144 microseconds with the mmu disabled1, 160 with the mmu enabled. It is now 60 microseconds with the mmu disabled, and a few microseconds more with the mmu enabled. 2.4x improvement. 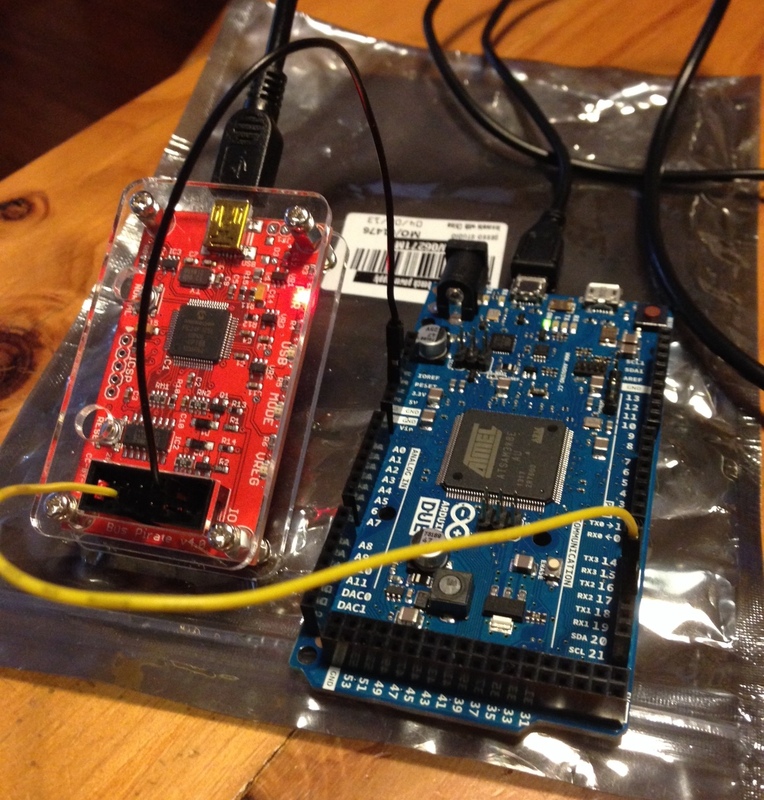 The first big improvement came from switching from the Arduino SD classes to the SdFat library. SdFat gives you more control over the interactions with the card, and also lets you set the speed of the SPI bus, on 16 Mhz Atmels, to full speed, rather then the previous 1/2 speed maximum. This gave me an 8-10% improvement in memory access times to the SPI SRAM shield. The next big improvement came from switching from the SPI SRAM shield to a Rugged Circuits’ QuadRAM board. 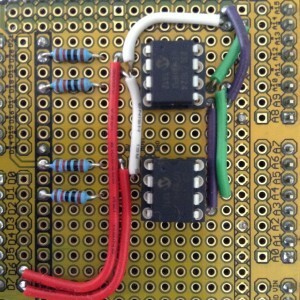 This eliminates the SPI bus entirely by extending the address space of the Atmega 2560 to the full 64 kilobytes and adding banking to access up to 512 kilobytes. This gave another 20% improvement. After that things got harder. The remaining 30 microsecond improvements came from careful rewriting of all the hot paths and reducing the data types involved to their smallest possible type. The most surprising discovery of all was made as I started to comment out pieces of the code to get a baseline for the inner loop of the simulator. After whittling it down to simply fetching the instruction at the current PC I’d arrived at a baseline of 21 microseconds. That is just under 50 kilohertz simulated performance; not great, especially considering this isn’t processing the instruction. Digging a little further I discovered that this one shift to set the correct memory bank costs 4-5 microseconds. Out of a total time of 21 microseconds, that is close to 25% in just one line. // a >> 15 costs nearly 5 usec !! In retrospect this shouldn’t have been a surprise. The Atmega processor is an 8 bit processor. It has some provisions for 16 bit quantities, but they are expensive. 32 bit quantities probably receive no hardware support, and I think in this instance avr-gcc is calling a helper function for the unaligned shift. A quick hack using a cast and some shifts shaved 4 microseconds off the inner loop, clearly attributable to this inefficient shift. The proper fix will probably involve more radical surgery using a union datatype. Don’t guess, always profile your code. As for the performance of avr11, it stands a 16 kilohertz simulated clock speed. Possibly with some extreme C surgery this can be improved to 20 kilohertz. Past that, the possibilities running on the Atmega 2560 look grim. I’d be interested in hearing from other Atmel users about their profiling methods. The PDP-11/40 I am simulating has an 18 bit address space. However the CPU is only 16 bit and cannot directly generate 18 bit addresses so a memory management unit is used to rewrite addresses as they leave for the UNIBUS. The MMU adds a small overhead to memory reads and writes when enabled. In the original hardware that was somewhere on the order of 90 nanoseconds. In simulation it’s probably under 5 microseconds. This entry was posted in Programming and tagged avr11, profiling on January 30, 2014 by Dave Cheney. In my previous post I had figured out that I could capture memory accesses in my simulator and send them elsewhere. 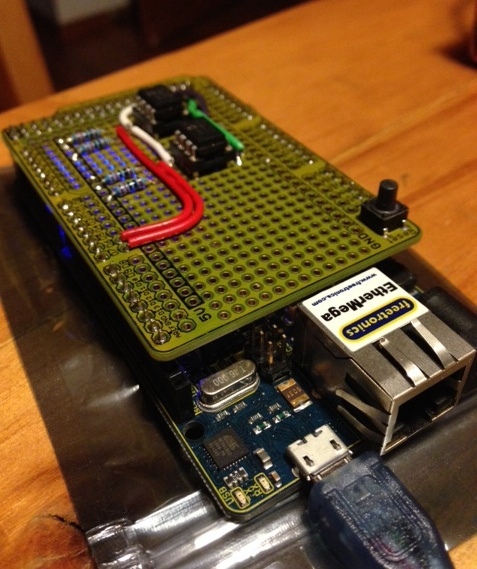 In version 1 of the design I (ab)used the onboard mini SD card to simulate the entire address space. This was a very 1950’s solution and came with matching performance. Still, it did give me confidence that this project was possible and so I located a kit which would give me a better performing memory subsystem. I duly ordered the kit from Colin Irwin but didn’t know how long it would take to get here from France. Trolling around eBay I had found various EEPROM solutions like this one which I thought I could adapt. The board wasn’t directly usable as it was configured for 2 wire I2C, not 3 wire SPI, but it suggested to me that I could build a shield to hold some SRAM chips to get my project going while I waited for the XRam shield to arrive. There is a common SRAM chip, the Microchip 23K256, which is a 32 kilobyte chip with an SPI interface. I’ve seen it used in various PIC designs, and is an option on the Propeller PMC. 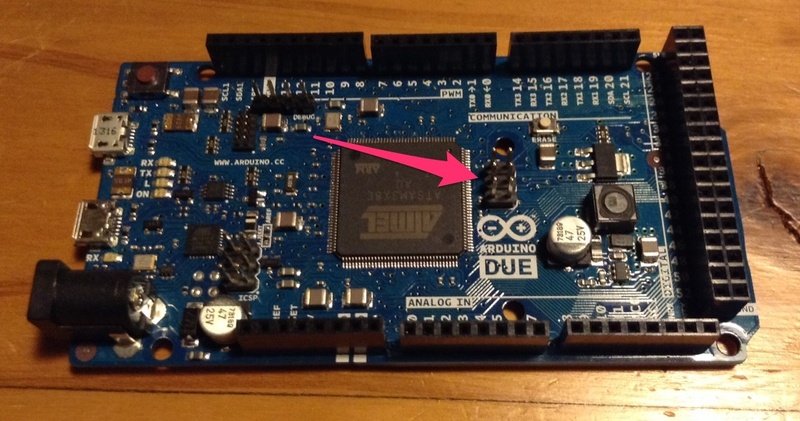 The 23K256 isn’t as common in Arduino designs because of one major flaw; it’s a 3v3 part. This would mean adding a level converter to the shield and being careful not to drop 5 volts across any of the pins on the chip. There was also the problem of capacity. To get to 256 kilobytes I would need 8 chips on the same SPI bus, and a logic level converter, not counting the onboard SPI devices like the micro SD card and the Wiznet ethernet chip that come with the Ethermega. This was likely to get more complicated than I was planning on, so I continued to look for an alternative SRAM part. Luckily I didn’t have to look very far. The Microchip 23LC1024 has 4 times the capacity, and can operate at 5 volts. This meant I would only need two chips to get 256kb and would only need to dedicate two pins to driving the Chip Select lines on the SRAM ICs. As I live in Australia, there is a difference between choosing the part you want, and actually being able to buy it. While most of the Microchip stock appeared to be in the UK, I found the last two chips in stock at a Element 14, and ordered them straight away. Spares? Pfft, those are for people with no self confidence. Spelunking on the Arduino forums had yielded some war stories and a nice SpiSRAM library to interface with the chips. It also came with a small ram test sketch. My first attempts to integrate the 23LC1024s on the breadboard wasn’t very successful. Even though I follow the application note I wasn’t able to get the chips to reliably pass the SRAM test. Sometimes the data would be written perfectly, other times it would just be garbage. By default the 16Mhz Atmel parts drive the SPI pins at 4Mhz. From reading other blogs it was clear that this sort of frequency is outside what the breadboard is designed for, not to mention the large patch leads between the Ethermega and the breadboard. Increasing the SPI divider to slow down the transactions sort of worked, but it was clear I wouldn’t be able to hook the SRAM up to the avr11 in this condition so I’d need to build a proper shield to hold the ICs. Closeup of the shield. No, you may not see the under-side. A few days and another trip to Jaycar later, I had all the parts I needed. A few hours bodging at the local hacker space and I had reproduced my design onto a prototyping shield allocating pins D6 and D7 as the chip select pins. I took the shield home, plugged in the chips and both banks worked first time! Getting cocky I loaded the avr11 sketch and discovered that the micro SD card had failed to initialise, WTF! Reloading the sketch, the SD card worked fine, but the SRAM test showed garbage. The source of the problem turned out to be the default state of the digital pins on the Arduino. The way SPI works is all the components on the SPI bus share three lines, MISO (master in, slave out), MOSI (master out, slave in), and SCLK (a clock line driven by the master). Additionally every device has its own Chip Select line which must be held high to inhibit the device unless you want to talk to it. To talk to an individual device, you lower the CS line connected to that chip and read and write data on MOSI/MISO, toggling the SCLK line. All the other devices which have their CS lines high are supposed to hold their MISO and MOSI at a high impedance and ignore transactions on the bus. The problem is, when the Arduino resets, all the digital lines are set to input and are low; you don’t want an Arduino with no sketch loaded suddenly sending 5volts out of every digital pin. In effect all the Chip Select lines could be active, meaning all the components are listening to the transaction and trying to interact with the master. The solution I came up with was to ensure that all the digital pins are set to output and held high before calling any of the SD.begin() or SPI.begin() functions. In effect this disables all the SPI devices until their various begin() functions were called to configure them. Maybe this wasn’t the best solution, but since I implemented it the SRAM and SD card have been perfectly stable so I consider it case closed. This post takes me up to the present day. Right now I have a XRam kit to be built up, and a QuadRAM which was sold to me by a very kind blogger who wasn’t using it, sitting on my desk. Both the XRam and QuadRAM are functionally identical and each can provide more that the 256kb of SRAM needed for this project which is effectively directly integrated into the atmega2560’s address space. This entry was posted in Hardware Hacking, Programming and tagged arduino, avr11, spi, sram on January 25, 2014 by Dave Cheney. However, when I started to port my Go based simulator to the Arduino, the problem I faced was the Atmel does not support an address space larger than 64 kilobytes, and more immediate, all the 8 bit Atmega models ship with somewhere between 2kb and 8kb of addressable memory. Deciding to put that problem to the side until I saw if the job of rewriting (and dusting off my long obsolete C coding skills) was achievable, the first version of the simulator I wrote did use a simple array for UNIBUS memory. Using an Atmega2560 I was able to create a memory of 4096 bytes, which was enough to bring up the simulator and run the short 29 word bootstrap program which loaded the V6 Unix bootloader into memory. However, this did let me get to the point that the CPU and RK11 drive simulators were working well, not to mention figuring out how to write a large multi file program using the Arduino IDE environment. A revelation I have recently arrived at is that, from the point of view of a CPU, memory is not part of the processor. Data in a real CPU moves into and out of the device in a very orchestrated manner and in avr11 this is no different. Any instruction that references memory, either directly loading data into a register via the MOV instruction, or indirectly using one of the PDP-11’s addressing modes always boiled down to a read or write function which linked the CPU to the simulated UNIBUS. For example, in the Go version of the simulator, memory uint16 belongs to the unibus struct. In the C++ version for Atmel this is enforced further by there being no extern uint16_t memory[MEMSIZE]; definition exposed in unibus.h. In short, there is no way for the CPU to observe memory, it has to ask the UNIBUS to read or write data on its behalf, and this gave me the opportunity to solve the problem of limited memory space available on the Atmel devices I had access to. At this point I’m sort of telling the story backwards. I had found a product which would give me far more memory than I needed for this project, but it took several weeks to arrive and comes as a kit, which will involve some tricky SMD soldering. In the interim I found myself during the Christmas to New Years break with a simulator that I felt was working well enough to try something more adventurous if I could only find some way to emulate the backing array for the core memory. I didn’t really care about speed, I just wanted to see if the simulator could handle the more complicated instructions of the Unix kernel. “Why not use the SD card?” I said to myself. I was after all already loading some of the blocks off the RK05 disk pack image from the card, so why not just make another image file and make that back the core memory. The mini SD card probably wouldn’t last very long, but I have a pile of cheap cards so why not try it. All it took was setting up a new SD::File, called core and rewriting the access to the memory array with seeks and writes to the backing file (obviously doing the same for the read paths). Amazingly it worked, on the second or third attempt, and although it was very slow I was able to use this technique to boot the simulator a very long way into the Unix boot process. I posted a video of the bootup to instagram. Even more amazingly I didn’t wear out the mini SD card, and still haven’t. This is probably mostly due to the wear leveling built into the card2 but I also stumbled into a fortuitous property of the SD card itself, and the Arduino drivers on top. All SD cards, well certainly SD and mini SD cards, mandate that you read and write to them in units of pages. Pages happen to be 512 bytes, a unit which clearly descends from the days of CF cards which emulated IDE drives. This means the Arduino SD class maintains a buffer of 512 bytes, (which comes out of your precious SRAM allotment) that in effect operated as a cache for my horrible all swap based memory system. For example, when the bootloader program zeros all the memory in the machine, rather than writing to the SD card 253,952 times3, the number of writes was probably much smaller, say 500 writes. Obviously as it was not designed for this purpose the cache would fail badly during a later part of the bootup where the kernel code is copied (about 90 kilowords of it) from one memory area to another. Each read or write would land on a different SD card page, causing it to flush the old buffer, read in the new buffer, then reverse the process. But it worked, and gave me confidence to investigate some more ambitious designs for a memory solution. In my next blog post I’ll talk about version 2 of my memory system, the one that I finally got me booting to the # prompt. I considered using a SAM3X atmel32 style board, like the Arduino Due as they have both a more powerful CPU and close to 96 kilobytes of addressable memory, but that is only 48 kilowords, less than half of what I need to simulate the full 128 kiloword address space of the PDP-11. The internet is divided on the question of “Do cheap mini SD cards have wear leveling?”. Part of the problem is the definition of cheap changes rapidly over time, making advice written 12 months ago inaccurate. My view is that cards of any capacity you can buy today require so much error correction logic that you get the wear leveling logic for free. On the PDP the top 4 kilo words of memory (8kb) is reserved for the IO devices, so while the UNIBUS talks in 18 bit addresses, the top 4096 words is not mapped to memory, and doesn’t need to be cleared. In fact clearing the IO page memory would be catastrophic. 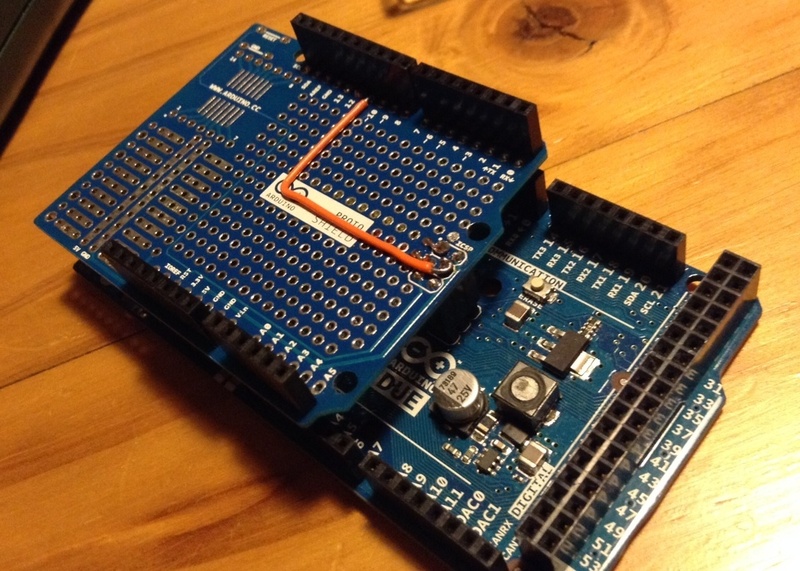 This entry was posted in Hardware Hacking, Programming and tagged arduino, avr11, spi, sram on January 24, 2014 by Dave Cheney. 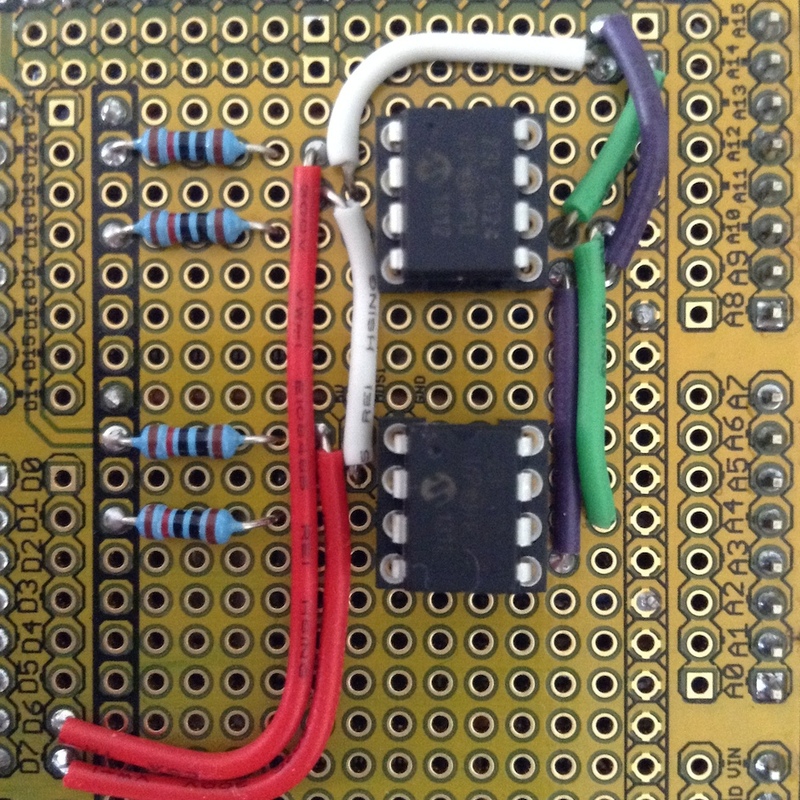 The avr11, an atmega2560 clone with a custom SPI 256kb memory. In April of 2011 Julius Schmidt wrote a PDP-11 emulator that ran in a browser. I thought that this was one of the most amazing thing I had ever seen. Late last year I ran across the link again in my Pocket backlog and spent a little time poking around the code that powered the simulator. The PDP-11 architecture is very interesting. All the the major system components work asynchronously, co-ordinating access via the shared UNIBUS backplane. Julius’ simulator used this property and callbacks on timers to simulate components like the disk and console operating asynchronously. I’ve written previously about the suitability of Go for writing emulators and so I thought it would be a fun project to port Julius’ work to Go. This port is going well and provided the base for porting the code to C++ for this project. Around the same time I ran across several other projects which convinced me to try an Atmel port. The first was the winner of last years IOCCC, a 4k Intel 8086 simulator1 which showed me that the core of a CPU simulator could be small. Ignoring main memory, you need only simulate the small number of registers defined by the architecture. The PDP-11 has 8 16bit registers, a few service registers and 32 16 bit mmu registers2 to hold mappings. This would fit even in a small microcontroller like the 328p or 32u4. 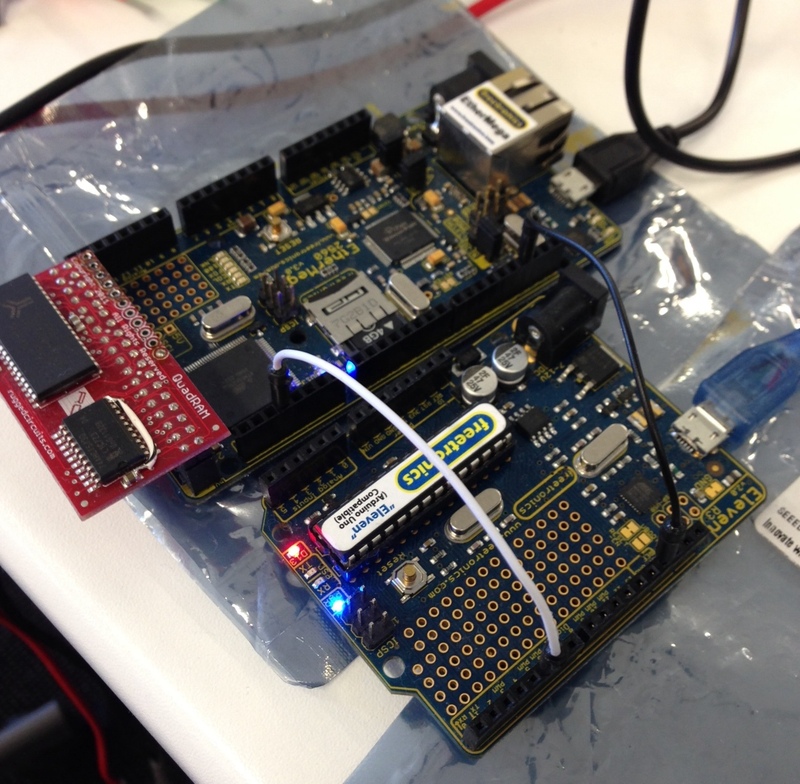 The second project was a hardware implementation of a 32bit ARM CPU running linux on an Atmel 128p. 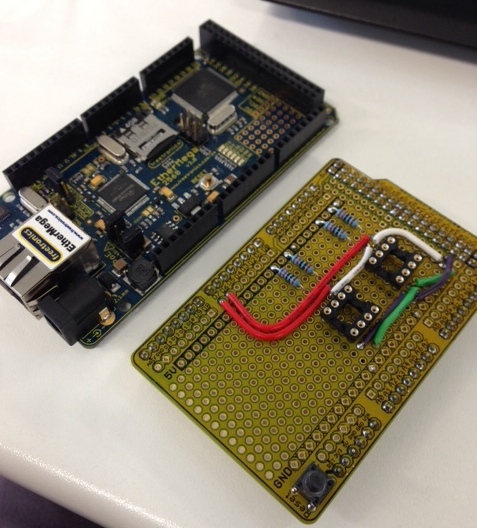 Probably built as a dare, this project showed me that reliable simulators can be built on the 8bit Atmel platform and an external device could be used to represent the larger main memory expected by the CPU being simulated. Maybe this wasn’t as crazy as it sounded. 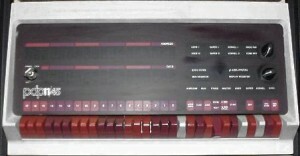 PDP-11/45 console. Image courtesy of John Holden’s PDP-11 page. The PDP-11 is the most important minicomputer of the 1970’s. The cost of the PDP-11 was low enough that it could be dedicated to one person or small group when mainframe computers cost so much to run that time was billed by the hour to recoup their phenomenal cost. DEC machines quickly became the platform for research and experimentation. The PDP-11 was the machine that Ken Thompson and Dennis Ritchie developed Unix and the C programming language. As a historical artefact it has tremendous importance for anyone who is interested in computer programming or retro computing. If you want to know why the int datatype in C defaults to 16 bits, look at the PDP-11, it was a 16 bit computer. If you want to know why a char is called a char not a byte look to way the PDP-11 stored two characters in a word. So, what better way to learn about the PDP-11, and the history of C and Unix, than to build a simulator of the machine that started it all ? 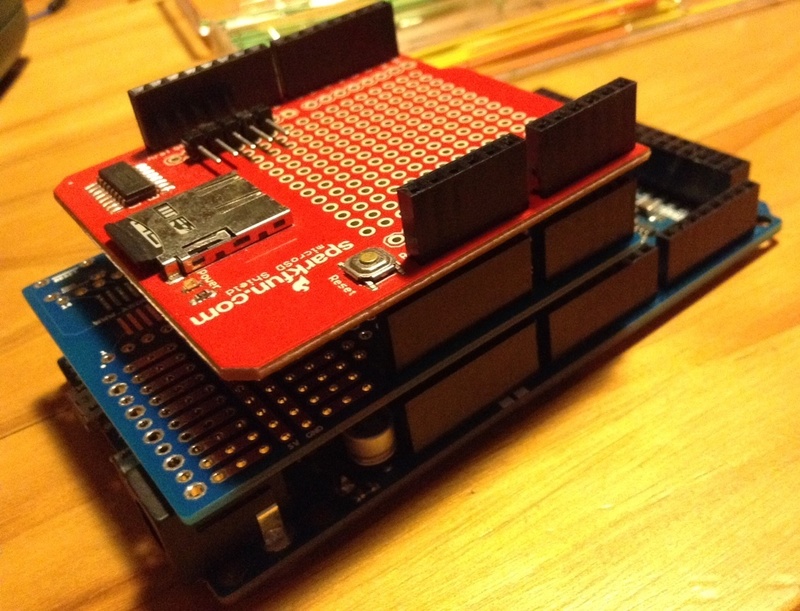 Why build a simulator on a microcontroller? 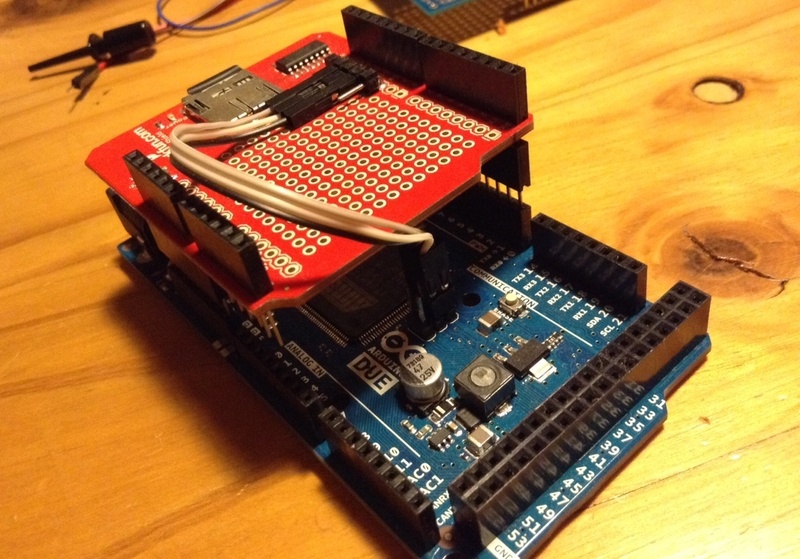 Let’s be honest, the world doesn’t need another Arduino weather station. Apart from wiring up LED and LCD displays I haven’t really found anything that really excites me about using microcontrollers. In some ways, the way that microcontrollers are coded and used feels very batch oriented — write some code, compile it, load it onto the micro, wait quietly to see it it worked, rinse, repeat. I had heard a Podcast interview with one of the makers of the Pebble smart watch and learnt about the Pebble OS, a fork of FreeRTOS. One of the nice features of Julius’ simulator was the very clean separation between the CPU logic and the memory logic. In the PDP-11 memory is just another device on the UNIBUS bus and so I began to think that if I could find some way of connecting the required 128 kilowords of memory to an Atmel the rest of the simulator should fit within the onboard SRAM. 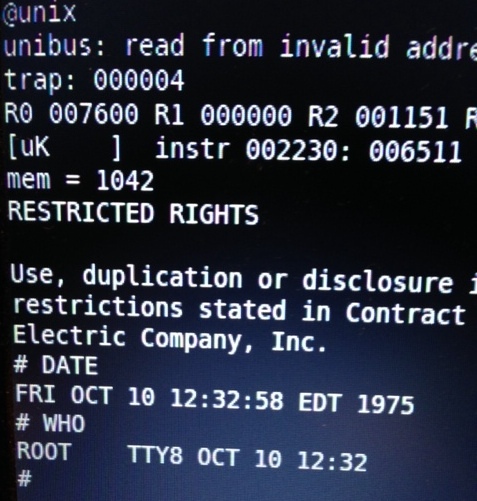 A screenshot of one of the first successful boot attempts. The hardware emulated is somewhere between a PDP11/40 and PDP11/45. The EIS option (MUL and DIV) is properly emulated, but FIS (floating point is not). Only a single RK05 drive is simulated, backed by a file on the micro SD card. I want to improve the accuracy of the simulator so that it can run V7 unix, 2.9/2.11 BSD, RSX-11M and most importantly, the DEC diagnostics. All these improvements are first developed on the Go port then will be integrated into the Atmel port. Right now, not great. I don’t have a real PDP-11 for comparison, but looking at some videos on Youtube I’d have to say the simulator is at least 10x slower than an original 11/40. I was never expecting to be amazed with the speed of this simulator, especially at this early stage. However, on a performance per watt basis, I think it’s hard to beat avr11. The PDP-11 that this simulator models is spartan, even by the standards of the early 70s, yet still consumed over 2 kilowatts of power for the CPU and Memory (256kb). The 2.5 megabyte RK05 boot drive was another 600 watts. Real unix installations would have 3 or more drives, so there goes another 1200-1800 watts. Compared to that, the avr11 draws well under the 500ma limit of a USB port. Although I lack equipment to measure the current draw I estimate it to be around 100ma at 5 volts which is 0.5 watts. Tell that to your data center manager. SPI memory. The overhead of the SPI transaction to read a word from memory is quite high. As most instructions generate at least 2 memory cycles, and can be as high as 6, fetching operands from memory consumes a lot of wall time. The code itself is on Github. As of today it is frankly a dog’s breakfast of babies first C++ programming and Arduino hacks. As the project progresses I hope this will improve. Ethermega and SPI SRAM shield (unpopulated). However the code itself isn’t much use without the hardware. Again this is under heavy flux and I hope to improve the number platforms the simulator can run on. The specific hardware requirements are an Atmega2560 (the older 1280 will also work, I just don’t have one to experiment with). I’m using the Freetronics Ethermega, mainly because it was what I could buy at Jaycar, but also because it has a built in micro SD card reader onboard. The SPI SRAM shield is custom, and I’ll be writing about it in my next post. The author of 8086tiny has recently released a de-obfuscated version of their emulator. Actually Julius’ emulator cheated, there are actually 3 banks of 16 mmu registers in a real KT11 mmu, but V6 unix doesn’t use supervisor mode, so we can cheat a little here. This entry was posted in Hardware Hacking, Programming and tagged arduino, avr11, pdp11, retrocomputing on January 23, 2014 by Dave Cheney.